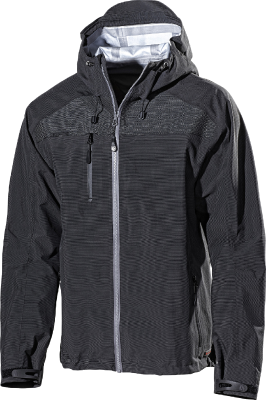 Saw protection lining in six layers on the front for versatility. 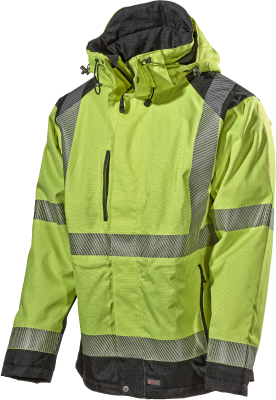 Made from polyester/CoolMax for best moisture transportation. Reinforced with stretch-Kevlar for extremely high resistance to wear-and-tear. The material gives fast evaporation and therefore keeps the body warm and dry. Raised rear section to keep the lower back warm. One leg pocket and two front pockets. One rear pocket with an easily accessible zip pull. Holder for braces and elasticated waist. Outer material: 54% polyamide, 30% kevlar, 16% lycra. Saw protection material: 100% polyester. Certified in compliance with: EN 381-5. Design A = saw protection on the front side. Class 1: for saws with a speed up to 20 m/s.